Twitter Not Working On Your iPhone? Here's The Real Fix! You are at:Home»iPhone»Apps»Twitter Not Working On Your iPhone Or iPad? Here’s The Real Fix! Twitter won’t load on your iPhone or iPad and you don’t know what to do. Not being able to connect with your friends and family on social media can be very frustrating, especially when your device says it’s connected to your data plan or Wi-Fi network. 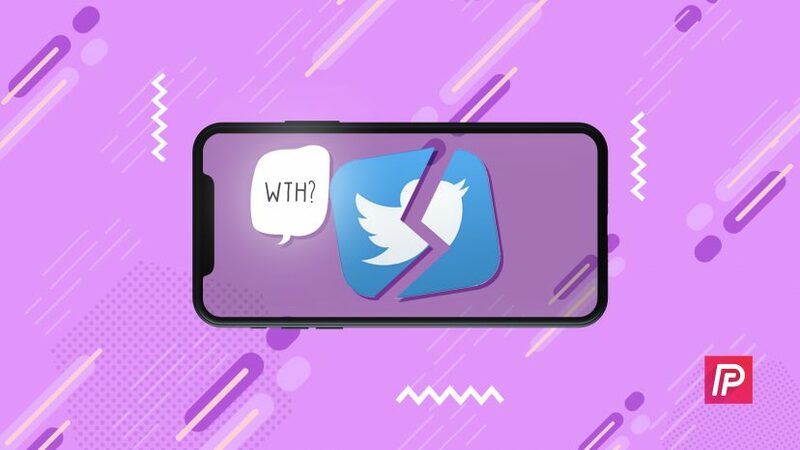 In this article, I’ll explain why Twitter is not working on your iPhone or iPad and show you how to fix the problem for good. If you haven’t already, turn your device off and back on. This basic troubleshooting step can sometimes fix a minor software glitch which could be the reason why Twitter is not working on your iPhone or iPad. To restart your device, press and hold the Sleep / Wake button, which is more commonly known as the power button. Release the Sleep / Wake button when “Slide to power off” and the red power icon appear near the top of the screen. Swipe the red power icon from left to right to turn off your iPhone or iPad. Wait about a minute before turning your iPhone or iPad back on, just to make sure that all of the programs that were running on your device have a chance to completely shut down. To turn your device back on, press and hold the Sleep / Wake button until you see the Apple logo appear in the center of the display of your iPhone or iPad. Why Is Twitter Not Working On My iPhone Or iPad? At this point, we can’t be certain if Twitter is not working on your iPhone or iPad because of the app itself, your device’s connection to Wi-Fi, or a potential hardware problem. I’ll address each of these possibilities below with a step-by-step guide, starting with Twitter app troubleshooting, then Wi-Fi troubleshooting, and finishing with your repair options if there is a hardware issue. Closing out your apps allows them to shut down normally and has the potential to fix a minor software glitch. Think of it like rebooting any electronic device, but for apps! I recommend you close out of all of your apps, not just the Twitter app. If another app has crashed in the background of your iPhone or iPad, it may lead to software issues which could possibly be the reason why Twitter won’t load. To close out of your apps, double-press the Home button to open the App Switcher, which shows you all of the apps currently open on your iPhone or iPad. To close out of an app, use your finger to swipe up on the app until it disappears from the App Switcher. You’ll know that all of your apps are closed when you only see the Home screen in the App Switcher. Pro tip: You can close two apps at the same time by using to fingers to swipe up two apps! App developers frequently make updates to their apps in order to fix security issues, add new features, and resolve any software glitches. If the most recent version of Twitter isn’t installed on your iPhone or iPad, it may not load or work properly. To see if an update is available, open the App Store and tap Updates in the lower right-hand corner of the screen to see a list of the pending updates that are available. If there’s an update available for the Twitter app, tap the blue Update button to the right of the app. If there are multiple updates available on your iPhone or iPad, you can tap Update All in the upper right-hand corner of the screen to do update all of your apps at once — though they’ll only update one at a time! When the Twitter app consistently fails to work on your iPhone or iPad, it’s sometimes easiest to uninstall the app, then reinstall it like new. When you uninstall the Twitter app, all of the data that Twitter saved onto your iPhone or iPad will be erased. So, if a corrupted software file was saved by the app, that corrupted file would be erased from your device. To uninstall the Twitter app, begin by gently pressing and holding the Twitter app icon. All of your apps will begin to shake, and a little X will appear in the upper left-hand corner of most of your apps. Tap the X in the corner of the Twitter app, then tap Delete when prompted on the screen of your iPhone or iPad. Finally, tap Get, then Install to reinstall the Twitter app. Since you’ve previously installed the Twitter app, you may see an icon that looks like a cloud with an arrow pointing down. If you see this icon , tap it and the install will begin. Will My Twitter Account Be Deleted If I Uninstall The App? 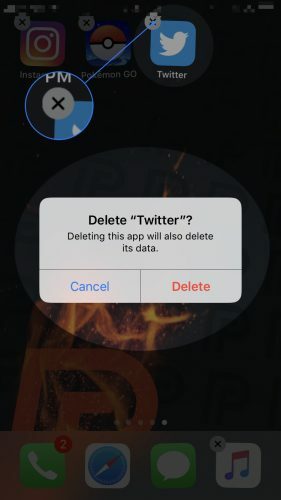 Don’t worry — your Twitter account will not be deleted if you delete the app from your iPhone or iPad. However, you’ll have to log in again when you reinstall the Twitter app, so make sure you know your password! Similar to app developers updating their apps, Apple often updates the software that operates your iPhone and iPad, which is known as iOS. If you haven’t installed the most recent iOS update, your iPhone or iPad may experience certain software issues that could be resolved by the most recent iOS update. To check for an iOS update on your iPhone or iPad, open the Settings app and tap General -> Software Update. If an update is available, tap Download and Install. Make sure your iPhone or iPad is connected to a power source or has over 50% battery life, otherwise the update won’t be able to begin. 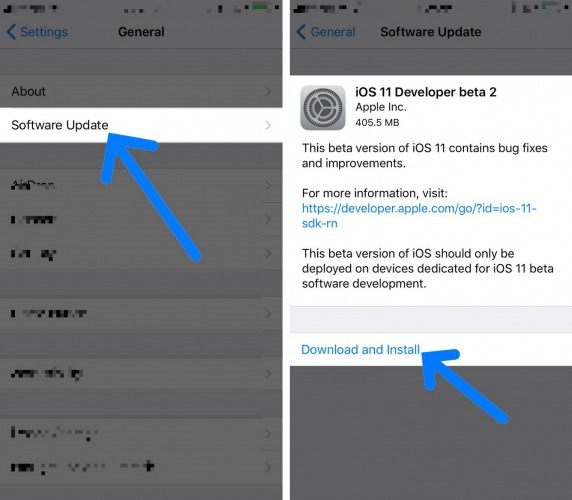 If you’ve already installed the recent version of iOS, you’ll see the message “Your software is up to date.” on the display of your iPhone or iPad. If you troubleshooted for the app, but Twitter still won’t load on your iPhone or iPad, then it’s time to move onto the next part of our guide which will help you diagnose if your iPhone’s or iPad’s connection to Wi-Fi is the cause of the problem. iPhone and iPad users frequently rely on Wi-Fi to use Twitter, especially if they don’t have an unlimited data plan. When that Wi-Fi connection fails, Twitter doesn’t work and you’re left frustrated. 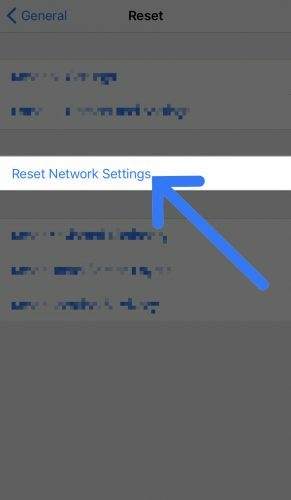 Turning Wi-Fi off and back on gives your iPhone or iPad a chance to try again if something went wrong the first time you tried to connect it to a Wi-Fi network. Occasionally, a minor software glitch can occur when you try to connect your device to Wi-Fi, which may cause your iPhone or iPad to malfunction when you try to do something online. 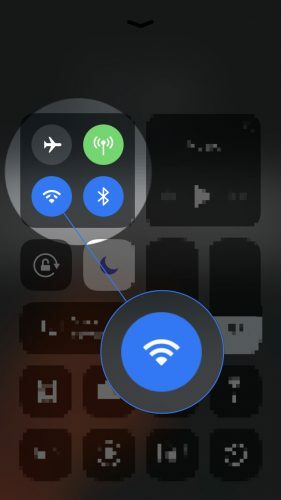 One of the fastest ways to turn Wi-Fi off and back on is in Control Center, which you can open by swiping up from below the bottom of the screen on your iPhone or iPad. Take a look at the Wi-Fi icon — if the icon is white inside of a blue circle , that means Wi-Fi is on. To turn it Wi-Fi off, tap the circle. You’ll know Wi-Fi is off when the icon is black inside of a gray circle . Then, to turn Wi-Fi back on, tap the circle again. You can also turn Wi-Fi off by opening the Settings app and tapping Wi-Fi. To the right of Wi-Fi, you’ll see a small switch that will be green if Wi-Fi is on. To turn Wi-Fi off, tap the switch — you’ll know Wi-Fi is off when the switch is gray. To turn Wi-Fi back on, tap the switch again. Sometimes, your iPhone or iPad may only have issues connecting to your Wi-Fi network specifically, which usually means there may be a problem with your wireless router and not your device. To check if this is the case, try connecting to a friend’s Wi-Fi network, or visit your local library, Starbucks, or Panera, all of which have free public Wi-Fi. If you find that Twitter only doesn’t load when your iPhone or iPad is trying to connect to your Wi-Fi network, then you’ve identified that the issue is probably being caused by your router. Try turning your router off and back on, then contact your Internet Service Provider for help if the problem persists. When you connect your iPhone or iPad to a Wi-Fi network for the first time, your device saves data on exactly how to connect to that Wi-Fi network. Sometimes, the process of that connection will change. If the saved data on your iPhone or iPad is outdated, it may lead to connectivity issues. Forgetting the network will erase that saved data, so when you reconnect your iPhone or iPad to the Wi-Fi network, the new process of connecting will be accounted for. To forget a Wi-Fi network, begin by opening the Settings app and tapping Wi-Fi. Next to the Wi-Fi network you want to forget, tap the more information icon, which looks like a blue “i” inside of a thin circle. At the top of the screen, tap Forget This Network. After you’ve forgotten the Wi-Fi network on your device, open the Settings app and tap Wi-Fi once again. Tap on the Wi-Fi network that your iPhone or iPad just forgot to reconnect. Our final Wi-Fi troubleshooting step when Twitter is not working on your iPhone or iPad is to Reset Network Settings, which will erase all your device’s Wi-Fi, VPN (Virtual Private Network), and Bluetooth settings. It can be incredibly difficult to track down the exact source of a software issue on your iPhone or iPad, so we’re going to erase all of the network settings that have been saved on your iPhone or iPad. Before beginning this reset, make sure you’ve written down all of your Wi-Fi passwords because you’ll need to reenter the information when you reconnect! To Reset Network Settings on your iPhone or iPad, open the Settings app and tap General -> Reset. Next, tap Reset Network Settings and enter your passcode. When prompted again, tap Reset Network Settings to begin the reset. Your iPhone or iPad will reboot when the reset is complete. Every now and then, Twitter’s server will crash, or their development team will perform routine maintenance to improve their servers for their millions of daily active users. If Twitter is not working on your iPhone, do a quick Google search for “Twitter server status” to see if lots of other people are experiencing the problem. If there are a lot of reports of Twitter being down, it’s highly likely they’re doing routine maintenance and that Twitter will be up and running again in a short period of time. As I mentioned earlier, there’s a very small chance that your iPhone or iPad has a hardware problem. iPhones and iPads have a small antenna that enables them to connect to Wi-Fi networks, as well as pair with Bluetooth devices. If you’re experiencing either (or both) of these issues frequently, there may be a hardware problem with the antenna. I recommend setting up an appointment at the Genius Bar of your local Apple Store at your earliest convenience. They’ll help you determine whether or not a repair is necessary. You’ve diagnosed the reason why Twitter was not working on your iPhone and you’ve successfully fixed the problem. 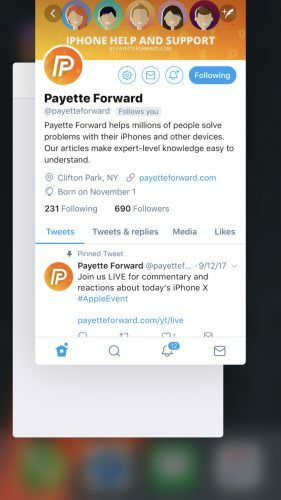 Now that Twitter is loading again, we hope you’ll share this article on social media and follow the Payette Forward Twitter account. Feel free to leave a comment down below if you have any other questions about your iPhone or iPad, and as always, thanks for reading! Next Article My iPhone Turns Off In Cold Weather! Here’s Why And What To Do.